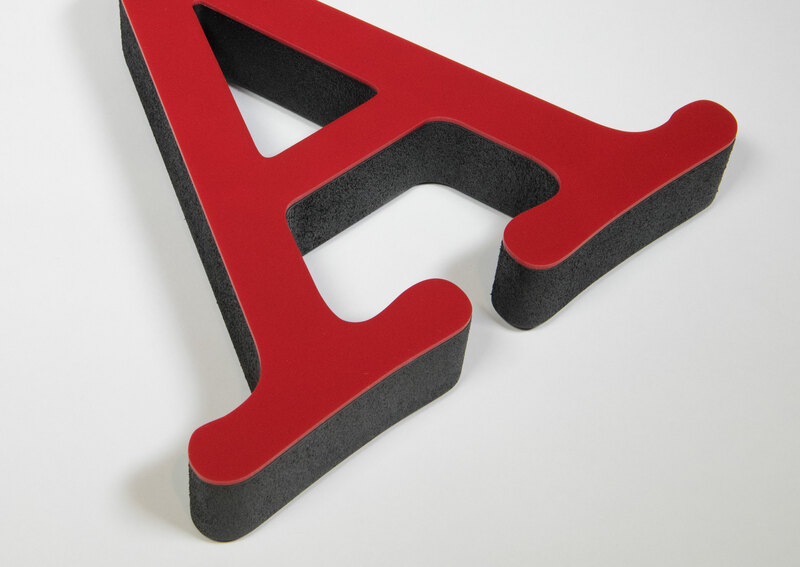 Acrylic laminated to Gatorfoam provides added dimension to letters & logos. Edges can be painted to match or contrast the acrylic face. Clear acrylic can be back painted any color adding a rich sense of depth. Acrylics are also stocked in four standard colors. Mirror acrylic is also available. 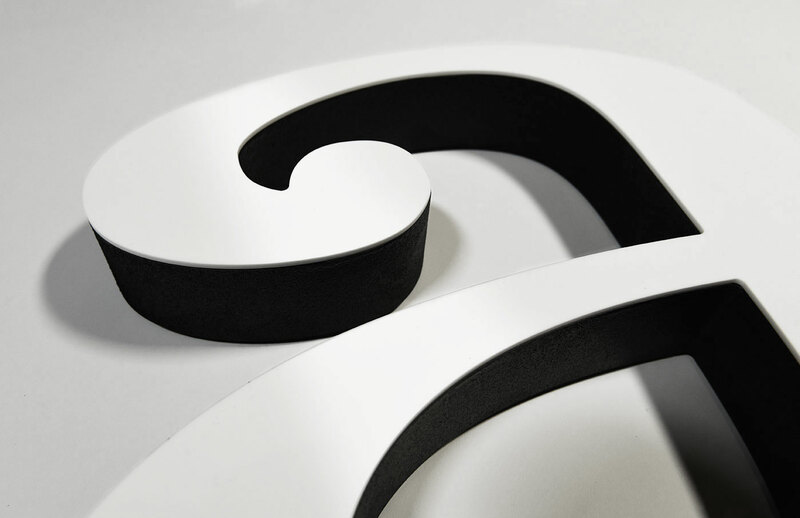 Edges can be painted to match or contrast the acrylic face as shown above.